You are here: Home / Free Stuff / Kate Spade Giveaway Event! Love is in the air! Valentine’s day is right around the corner and what better way to celebrate than with a Giveaway! This isn’t just any Giveaway. It’s for an authentic Kate Spade Bag!! I really like the floral design on this Kate Spade Crossbody Bag. 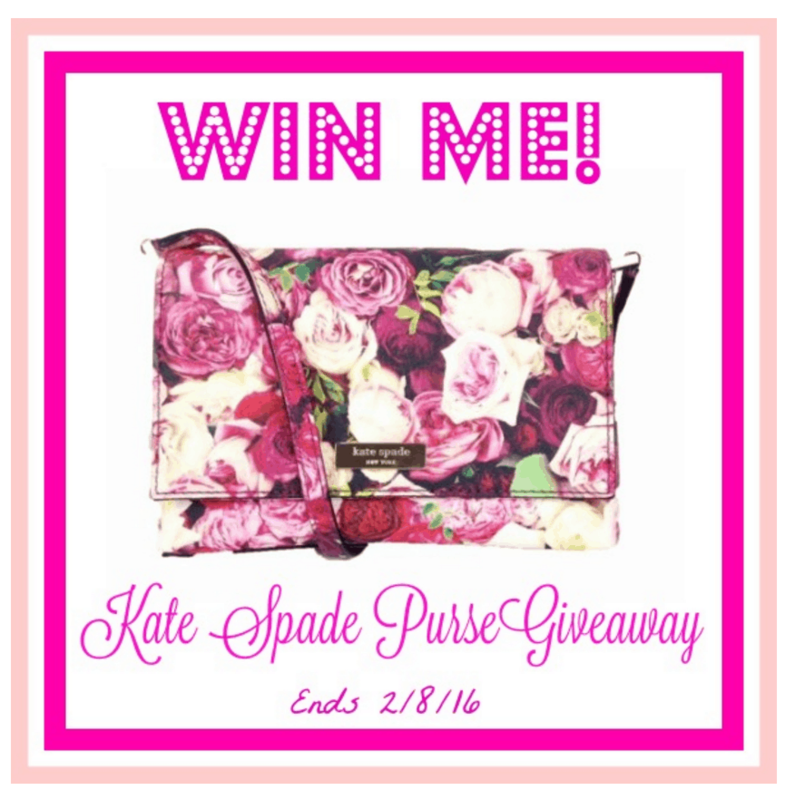 Join Our Kate Spade Giveaway Event! Please wait for the rafflecopter to load above. Make sure to come back daily to send your daily entries for more chances of winning. Giveaway is open to US only and runs from 1/25 (Monday) 7pm EST through 2/8 (Monday) 11:59pm EST. Because it's pretty and makes me think of Spring and not this dreadful snow! It would be a nice date night with my husband!! Somewhere that serves gluten free food. Then later home with some candles and some snuggles.